UNSD, in collaboration with the United Nations Economic Commission for Africa, is organizing a Regional Seminar on Census Data Archiving. The purpose of the Seminar is to provide a forum for sharing of national practices and experiences in archiving census data. It will provide a basis for assessing existing national archiving strategies and technologies used, as well as for identifying good practices and lessons learned in census data archiving. The Seminar will review major issues in archiving census data with a view to identifying challenges as well as considerations for formulating and implementing an effective national archiving plan. In many countries, the voluminous data collected through censuses is only partially analysed and disseminated, and often late, resulting in its underutilization. To address this challenge, UNSD in collaboration with the Italian Government has initiated a project to strengthen national capacity to analyse, present and disseminate census data in selected developing countries, Ethiopia being one. Based on a needs assessment mission launched by UNSD, the Central Statistical Authority (CSA) of Ethiopia has identified four areas for in-depth analysis: Fertility, mortality, housing, and the situation of the elderly. The national seminar is preparatory work for the preparation of monographs on the identified topics and in the process build capacity among CSA’s census analyses teams tasked with the preparation of analytical reports through on-the-job knowledge transfer. The final outputs are expected to be useful for effective development planning and monitoring population and socio-economic trends. 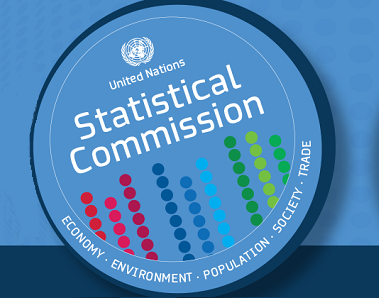 UNSD, in collaboration with the UNECA, is organizing a Regional Workshop for English speaking African countries on census evaluation in the context of the 2010 World Programme for Population and Housing Censuses. This workshop is being organized by the UN Statistics Division in collaboration with the African Centre for Statistics of the UN Economic Commission for Africa The main purposes of the workshop are: (a) to present and discuss the IRDTS 2008; (b) to review the state of distributive trade statistics compilation in African countries; and (c) to identify the challenges and good practices in their collection, compilation and dissemination. The workshop will contribute to the preparation of future manuals that will provide practical guidance to compilers of distributive trade statistics. The workshop will be conducted in English.